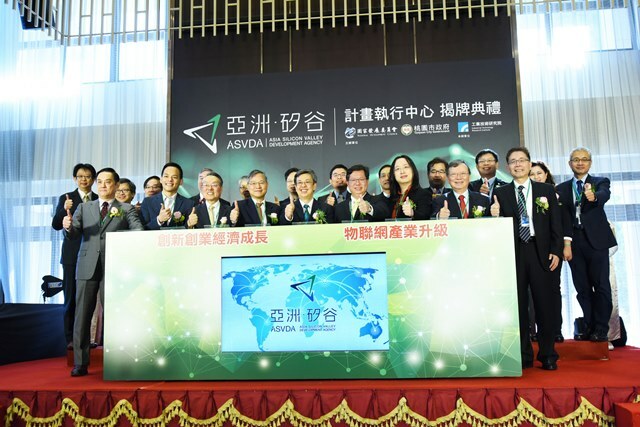 The Asia Silicon Valley Development Agency was inaugurated Dec. 25 in northern Taiwan’s Taoyuan City, marking a significant step in government efforts to foster innovation, promote the Internet of Things sector and attract top-class tech talent. Speaking at the inauguration ceremony, Vice President Chen Chien-jen said that the Asian Silicon Valley initiative aims to transform Taiwan into a platform for interdisciplinary innovation as well as software and hardware integration. “By forging connections among local industries, bringing Taiwan closer to the international community and building links to the future, this policy will boost economic growth while facilitating industrial upgrading,” Chen said. According to the vice president, Taiwan has the potential to become a regional hub of technological innovation, citing as examples the establishment of the Internet of Things Center in Taipei City by U.S. tech giant Microsoft Corp. in October, as well as the almost US$50 million in investments that local artificial intelligence startup Appier Inc. has received from global venture capitalists in recent years. Chen said that the ASVDA will help nurture local innovators while boosting recruitment of foreign talent. He also called on academia and the public and private sectors to collaborate on technology development so as to foster the growth of Taiwan’s industrial sectors and create higher added value. The Asian Silicon Valley project aims to transform Taiwan into an R&D hub for the IoT sector as well as a global center of entrepreneurship. It forms part of the government’s five-plus-two innovative industries initiative, a comprehensive program to promote economic restructuring and industrial upgrading. In addition to the Asian Silicon Valley, the five sectors comprise biotech and pharmaceuticals, green energy, national defense and smart machinery, while the two refers to the promotion of the circular economy as well as a new paradigm for agricultural development.